Durable and lightweight, this real, powerful refractor telescope is perfect for backyard exploring and on-the-go discovery. Explore birds and animals, the craters of the moon, and more! 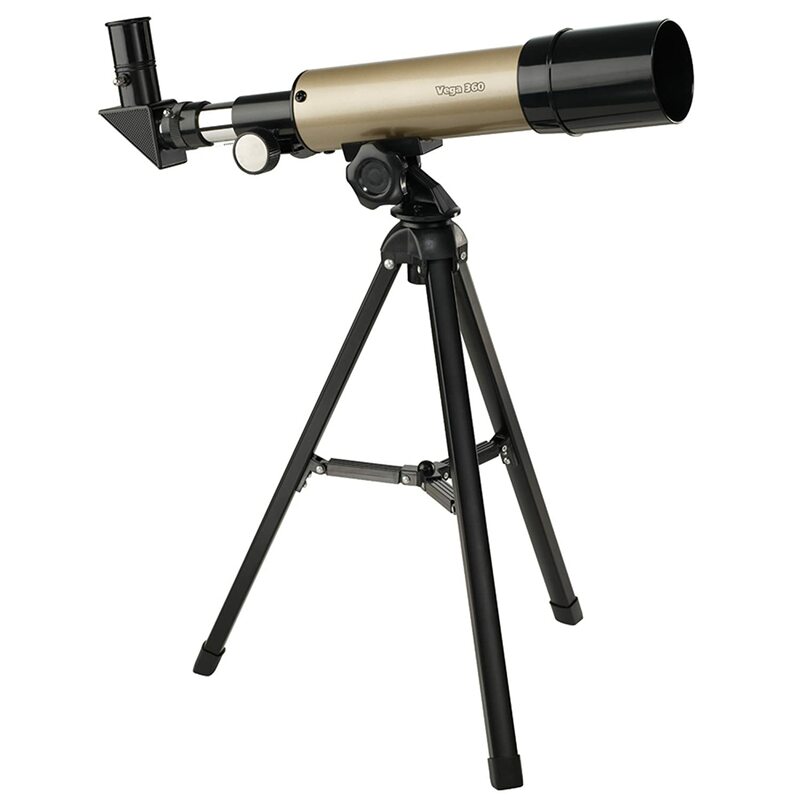 Includes telescope with all glass optics and 18x, 36x, 40x, and 80x magnification. Also includes 50 mm objective lens, 2 eyepieces, 2x image erector, and 2-element achromatic objective lens. Includes tabletop tripod with easy-to-use mount, dust cap, and dew shield. Supports STEM learning, providing hands-on experience with a key scientific tool. Sleek, modern design and quality construction to last through years of use. Powerful telescope for land and sky exploration.